The final school bell is ringing—it’s MIPS submission time! The deadline for Eligible Clinicians to submit their 2017 MIPS reporting files to CMS has been extended to Tuesday, April 3. Providers, are you ready? All that hard work is about to pay off (so, is it dinner on you?). In a previous post, we discussed results and key takeaways from our hospital eCQM submissions. And now that we’ve completed all of our clinician Quality Payment Program (QPP) submissions, we are diving right into our MIPS results. Ready, set, MIPS! Ok, before we begin, let’s briefly review the 2017 MIPS requirements so you know what you’re looking at. WHO: Eligible Clinicians - Any physician, physician assistant, nurse practitioner, clinical nurse specialist or certified registered nurse anesthetist who billed Medicare more than $30,000 in allowable charges AND saw more than 100 Medicare Part B patients. WHAT: For MIPS in 2017, clinicians had to submit measures in at least one (but ideally all) of the three categories: Quality, Advancing Care Information or Improvement Activities. 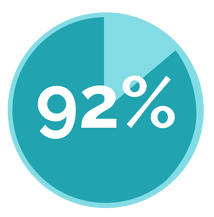 Each category is worth a percentage that makes up your total score. Depending upon your performance in each of these categories, you'll receive a total MIPS score, which translates into either a penalty or an increase to your 2019 Medicare reimbursement fee schedule. WHY: To avoid a -4% penalty, you have to score at least three points. 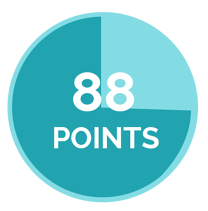 If you scored 70 points or higher, you’ve made it to the exceptional performance range and are eligible to earn bonus money, in addition to the money you receive from scoring above three points (cha-ching). Let’s start by breaking down our MIPS submission process. Below are the steps we take to complete each client’s submission. Before clinicians even begin the actual submission process, Medisolv clinical consultants work with each client to make sure they are improving their performance throughout the year. Using our MIPS score calculator, clinicians see their estimated total MIPS score each day. As their performance improves, so does their MIPS score. On the Medisolv side, we actually start prepping for 2017 MIPS submissions in August of 2017—months before the year officially closes. We gather relevant client information and get ourselves organized. Then, following the CMS Implementation Guide, we perform a thorough review of our product and processes before hitting the green light on submissions. This can make a difference when it comes to avoiding unnecessary mistakes and achieving a successful submission process. Before we begin actually helping our clients choose the measures to submit, it’s important to get a very clear picture of how many providers will be a part of each submission. Do they fall under one Tax ID Number (TIN)? Will you have multiple TINs to submit? Are there any individual clinicians that need a submission? Once this is crystal clear, the Medisolv clinical consultants work with the client to help decide which measures to submit. This process really takes place throughout the year as we mentioned above. By the time submission rolls around, most of our clients have a good idea of which measures in which timeframe will yield the highest MIPS score. Just as our hospital clients do when they submit their eCQMs, our clinician clients take a snapshot of their data by clicking the data submission snapshot button on Medisolv’s ENCOR software. This snapshot saves a client’s data and is handy both for QRDA file generation and as an auditing safety precaution. 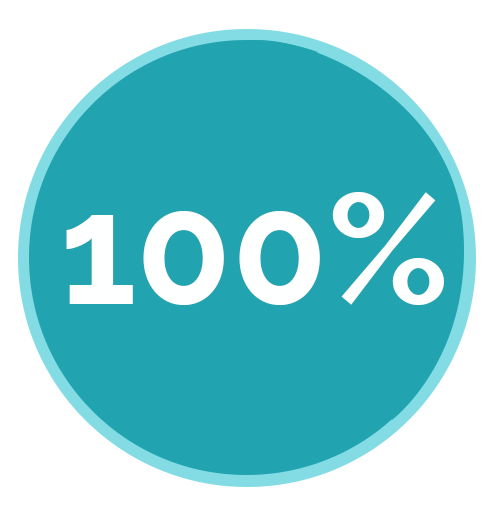 After completing their snapshot, clients work one-on-one with a Medisolv clinical consultant for submission approval and guidance. At this point, Medisolv takes the data and prepares it for submission to CMS. Before actually submitting to CMS, Medisolv validates each client’s QRDA III file. After validation is complete, the Medisolv submission team uploads the client’s QRDA file to the QPP website. Once the files have been approved by CMS, we receive back reports that show exactly what was submitted. We check to make sure there isn’t any conflicting information and then we notify the client that their submission is complete. Now for the moment of truth. Let’s take a look at how our clinicians performed in 2017. Say what? Well done, providers! Ok, that’s pretty amazing. And all of our clients who submitted measures in the Quality, ACI, and IA categories scored above 70 points, which means they are eligible for the exceptional performance bonus money! Yeah, they’re kind of a big deal. The following top six Quality measures were the most common measures submitted by our clients in the Quality category. The following top three Advancing Care Information measures are in addition to the four base measures that clinicians were required to submit in 2017: Health Information Exchange, Provide Patient Access, Security Risk Analysis and E-Prescribing. Preparing for and submitting your MIPS data—correctly—can be an incredibly time-consuming and frustrating task. But it doesn’t have to be! We help clinicians improve their performance data throughout the year, so when it comes time for submissions, they are ready to go. Talk to us today and we’ll start guiding you through a successful and stress-free 2018 MIPS submission process. Medisolv offers software and services which will assist your hospital in selection, validation and submission of your eCQMs to the CMS IQR program. To learn more about Medisolv's certified Quality Reporting and Management Solution, click here. Our solution is exclusively endorsed by The American Hospital Association. 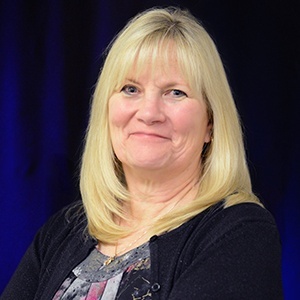 Denise Scott, Director of Ambulatory Services, brings over 30 years in healthcare and over 15 years in HIT implementation, optimization, quality measurement and improvement in the ambulatory physician environment to Medisolv. Prior to joining Medisolv, Denise was a Director of Quality, Informatics and Clinical Integration for two large medical groups in Massachusetts and the former Manager, HIT Services at Masspro where she led a variety of HIT related projects. Denise is a subject matter expert on workflow redesign and Meaningful Use, and is board certified in Nursing Informatics.